Emory Healthcare welcomes new primary care physician Esraa Dhabaan, MD, to its Emory at McDonough clinic. She is joining Bruce Wood, DO, and John Carson, PA-C, at the practice, located at 259 Jonesboro Road in McDonough. Dhabaan is board certified in family practice and joins the clinic after completing her family practice training at Morehouse School of Medicine in Atlanta. 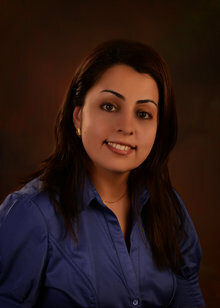 Besides providing routine primary care, Dhabaan has a special interest in women’s health, wellness and prevention. Dhabaan, her husband and three children are pleased to be part of the McDonough community and she is excited to join the Emory team. She is accepting new patients and takes same day appointments. For an appointment, call 770-957-8666. Emory at McDonough, formerly The Doctor’s Office, joined Emory Healthcare in 2012. Four of its other practice locations came on board at the same time, including Emory at Eagles Landing – 921 Eagles Landing Parkway, Emory at Peachtree City, Emory at Sharpsburg and Emory at Stockbridge.